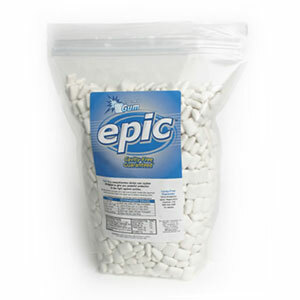 sugar-free and sweetened exclusively with xylitol, Epic’s Peppermint Gum gives a little kick to your daily 6 grams of xylitol that dentists worldwide recommend to help stop tooth decay. Only, you know, you chew it. But don’t chew your pillow.